Emulsion, the new music festival that is the brainchild of saxophonist and composer Trish Clowes, will have its sixth incarnation at the Gateway Education and Arts Centre in Shrewsbury, Shropshire, on 15/16 June 2018. Emulsion set the bar high from the start and has more than lived up to expectations since, bringing together open-mindedness, an adventurous spirit and collaborators of high calibre. And along the way some new music has been commissioned that has gone on to win awards. Of Emulsion VI, Trish writes: “Our headline artist for this edition is Robert Mitchell, who will perform a solo set on the Friday evening. 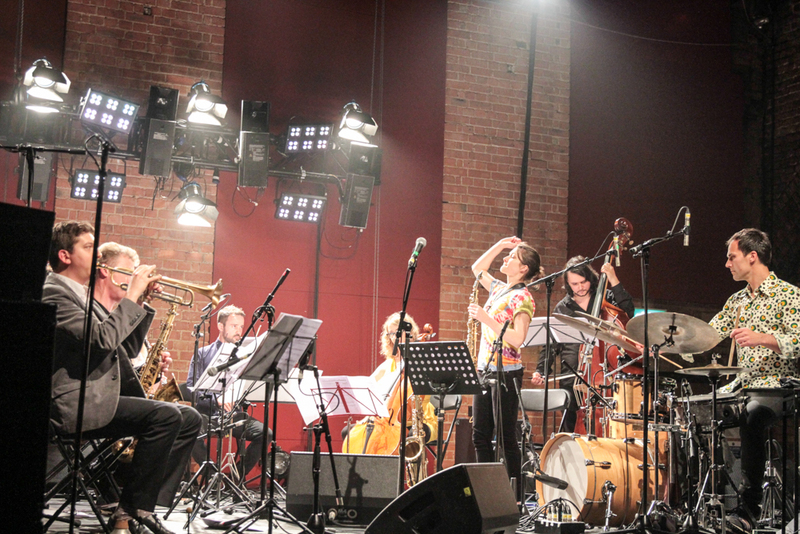 The Emulsion Sinfonietta will perform on the Saturday night, showcasing existing repertoire and hopefully two new commissions from Robert and Nikki Iles (and our trusted sound engineer Alex Fiennes will be there to capture the moment). “To make these commissions happen we have launched a Kickstarter campaign and we need your support!" In the lead up to Emulsion VI there will be two workshops for local audiences (also at the Gateway Education & Arts Centre) on 18 March and 22 April. Please contact Trish at info@trishclowes.com for more information on these.